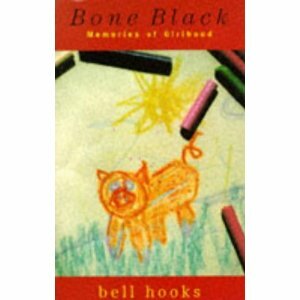 In Bone Black Memories of Girlhood bell hooks describes her life as a girl, a girl who struggles to develop a distinct identity and self. The experiences described revolve around being female, black and moreover different. Exclusion, blame and punishment are some of the situations undergone, although the only longing is the one of belonging; “They tell me once you start you will be sorry. You will wish you had never straightened your hair. They do not understand that it is not the straightening I seek but the chance to belong, to be one in this world of women.” (1996:93). The great effort to retain the balance between the distinct self and the feeling to be a part of the surrounding family/community/society is evident in every aspect of her life and every chapter of the book. Reading it, somebody receives not only a personal, distinctive journey through childhood but also an analysis of the same journey and from the same person who once had experienced it. An exertion to maintain a different personality and to become a unique individual it is reviewed with a critical and sharp eye when bell hooks is anymore an adult. A very interesting book for those who want to know how and from where hooks developed into the person and the writer that she is today. Another strong book by bell hooks. This time it is about “teaching community”. As specified by the title, teaching is a community and a community is teaching or better teaching and learning. Education possesses the role to transcend, to liberate, to vigilantly form critical and questionable thinking. Again topics such as racism, classism and sexism are discussed and analysed from an educational perspective. The two most important issues of the book are connected, firstly with the fact that education is not strictly restricted in the classroom but it can take place wherever from the streets to the church or to the family home. The second and most important issue is the essence and purpose of education. In our society education is conceived as the means to acquire a job or a better job, is highly payable and with the perception, the more expensive the fee to pay the best the education is. However according to hooks the sole purpose and the very essence of it, is to free us from stereotypes and prejudices and moreover to rise our human spirit above and beyond the conventional and habitual. All the above unfold themselves in 16 chapters with a sequence of a lifecycle, starting with “the will to learn” as a baby and concluding with the “practical wisdom” of the old. Hooks in her book attempts to engender what Paulo Freire has defined as the essence of education namely the practice of freedom. 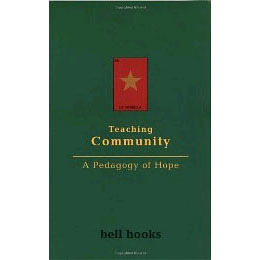 “What we can imagine, we can bring into life” exemplifies what bell hooks believes that will instigate the social transformation of an educational system which suffers.